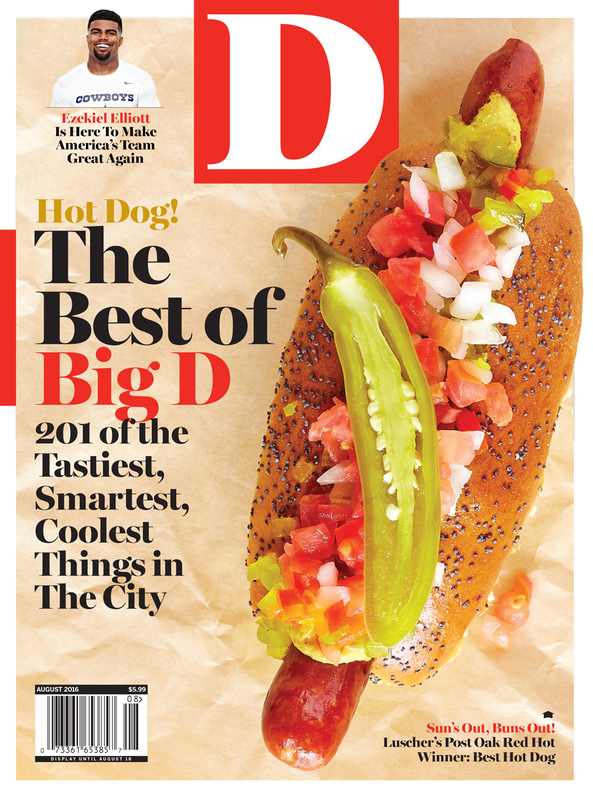 By D Magazine | 3 years ago Feast your eyes (and ears and feet) on the top eats, drinks, services, shops, nightlife, culture, and sports in Dallas. By David Lowery | 3 years ago Dallas indie filmmaker David Lowery spent two months in New Zealand directing a big-budget remake for Disney. He kept a journal during the two-month shoot. Here are the highs and lows. By David Ritz | 3 years ago School was a painful experience for me. So why on earth would I want to return, with my stutter, to talk to the senior class? By Eve Hill-Agnus | 3 years ago The redesigned Shed 2 has given opportunities to some smaller, more homespun ventures. By Nancy Nichols | 3 years ago Mico Rodriguez continues to rebuild, now in Far North Dallas. By S. Holland Murphy | 3 years ago Three D staffers tell us what inspired them on their recent travels and how they get their fix in Dallas. By S. Holland Murphy | 3 years ago The city has no shortage of awesome murals. But some of them are difficult to get to. We set out to find the most photo-friendly. By S. Holland Murphy | 3 years ago You simply must own one of these luxury rides. Everyone else in your cul-de-sac does. By Tara Nieuwesteeg | 3 years ago The Deep Ellum coffee shop/bar presents alcohol and coffee in perfect harmony. By Christiana Nielson | 3 years ago She's young, but that just helps the designer give her customers what they want. By Tim Rogers | 3 years ago She knows more about wine and beer than all but two people in the country. By Eve Hill-Agnus | 3 years ago Chef Julian Barsotti captures the Eternal City's vibrancy at his new Oak Lawn restaurant. By Katelyn Lunders | 3 years ago Art is essential to the developer of the Arts District office tower. By Kathy Wise | 3 years ago Jerry Jones expects big things from the Dallas Cowboys' new hope.